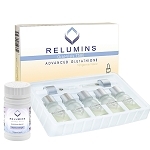 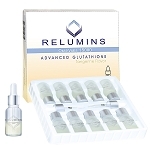 Introducing the newest product to the Relumins Professional Grade Line, Relumins Advanced Glutathione. 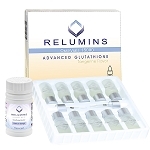 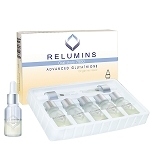 Relumins Advanced Glutathione is sublingual, taken orally and is 100% as effective as IV Glutathione, as well as being USA and Philippines FDA compliant, available for shipment to the USA and internationally. 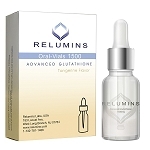 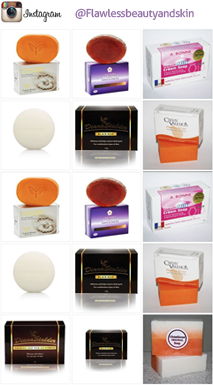 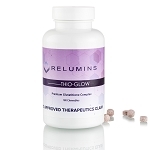 Relumins Advanced Glutathione works by inhibiting melanin synthesis in the reaction of tyrosinase and L-DOPA by interrupting L-DOPA's ability to bind to tyrosinase during melanin synthesis.